devoted solely to bird watching. Best Of . . . the start of a new year is alway a good time for reflection. 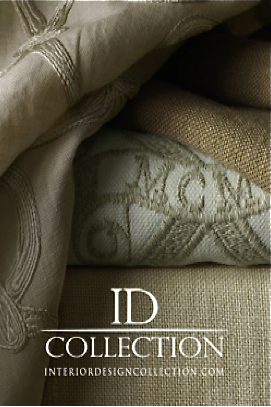 This post is all about some of my favorite houses, interiors, and architecture from the blog. 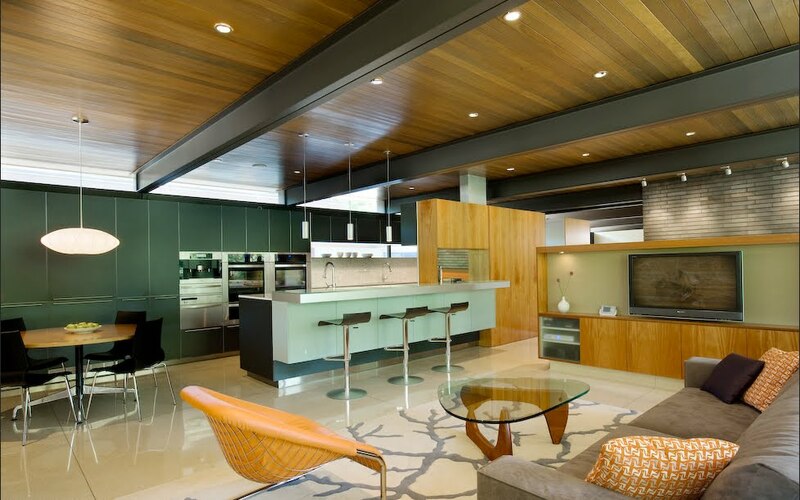 Done by Dallas interior designers, Dallas architects, and sometimes the homeowners themselves, these images remind me why I love covering design and why I keep it local. We've got some of the best talent anywhere in the country, don't you think? Above: One room, one purpose. 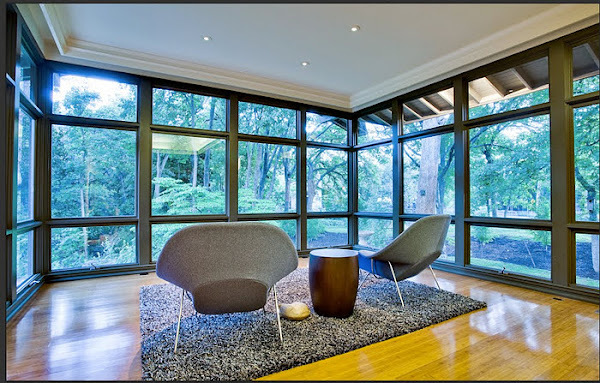 David and Kim Hurt love wildlife, and devoted this amazing glass room to pursuing the great outdoors from the comfort of their vintage Womb chairs, no less. have free access to their art-packed rooms. Unbelievably, Derek and Christine Wilson, whose living room is pictured above, live in their art-filled house in Highland Park with two very small children. 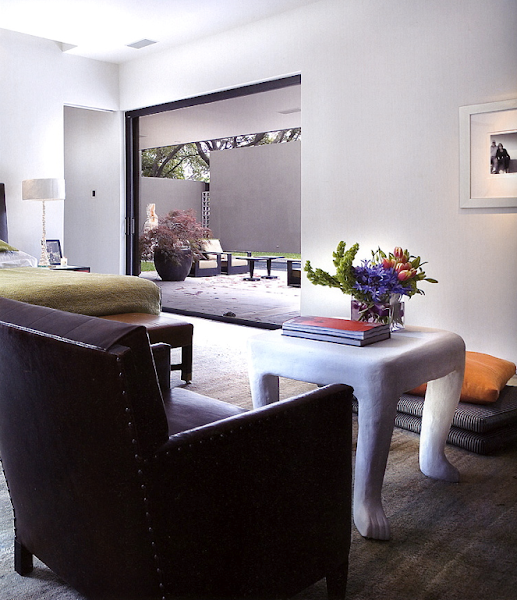 (Room by Dallas interior designer Brant McFarlain). Designing a room around a single inspiration is hardly a new thing, but when the muse is a yard of pink and green vintage Pucci fabric, it makes you want to know more. (Room by Dallas interior designer Beth Dotolo). I bet you think this room is about pattern and geometry. It's really about symmetry. You could cut this living room down the middle and it would almost be a mirror reflection. 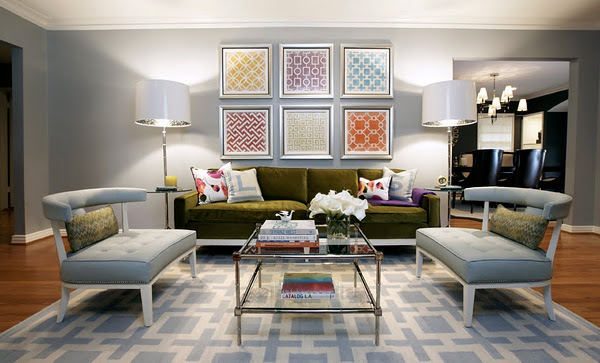 I love the fact that the designer, Beth Dotolo, uses symmetry to balance the room's pattern and shapes. The house belongs to 20-something Lauren Chapman, who is Bradley Agather's best friend (her living room is above). 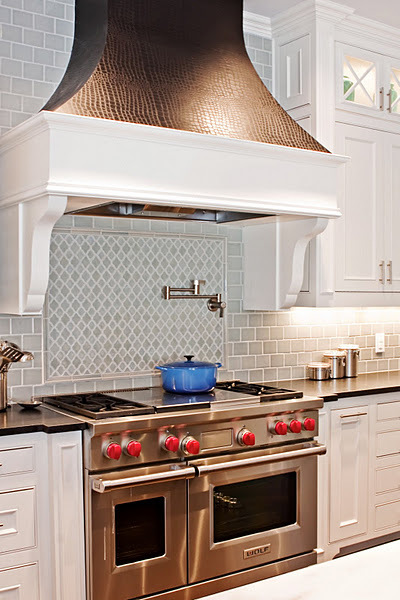 Dallas artist Annie Omar of Dallas Faux created this stunning ventilated hood for a kitchen designed by Dallas interior designer Tiffany McKinzie. This is one of my favorite kitchens ever -- the faux patent leather croc hood is so unexpected and takes a restrained, beautiful kitchen to a whole new level. That fact alone is enough for me to swoon. Art gallery owner Kristy Stubbs' bought these glamorous chairs from Dean Martin's house in Palm Springs. To hell with strict modernism. In this showhouse living room, Dallas interior designer John Bobbitt mixed a handful of unlikely subjects, including a 70s Axle Vervoordt sofa, an antique Persian rug, a 17th century Italian mirror, and a coffee table made from antique clockworks. 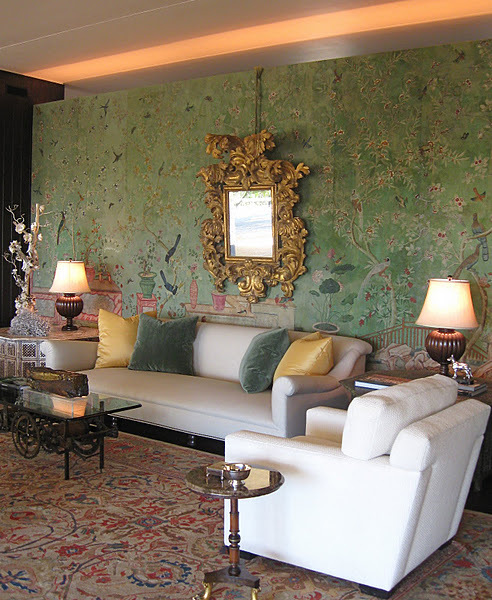 The whole thing is set off by the room's original 18th century Chinese wallpaper. 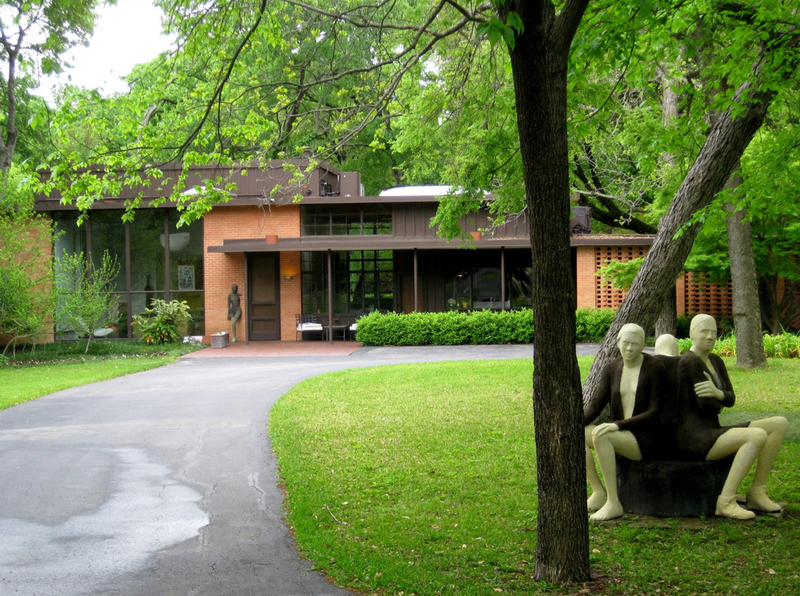 And, it's set inside one of the most famous modern houses in Texas. 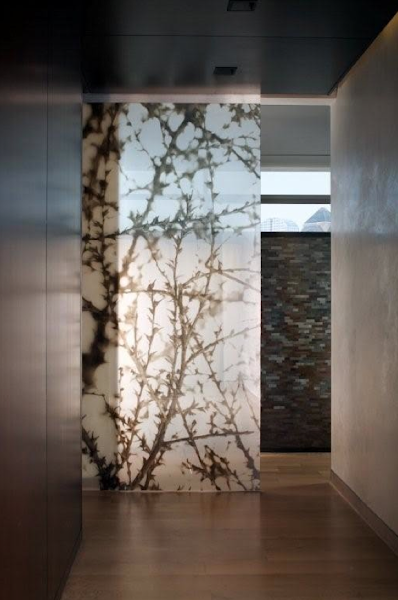 Interior designer Laura Kirar is from NYC, but the gorgeous room divider she commissioned for the entry of this penthouse at the W Residences here was created by Dallas artist Amanda Weil, who took a photo of a tumbleweed, blew it up really big, then developed it on semi-translucent film which she transferred to glass. I love it when big name, out-of-town designers collaborate with local artisans, but I love it even more when an artist can take a Texas cliché like a tumbleweed and make it relevant and modern. 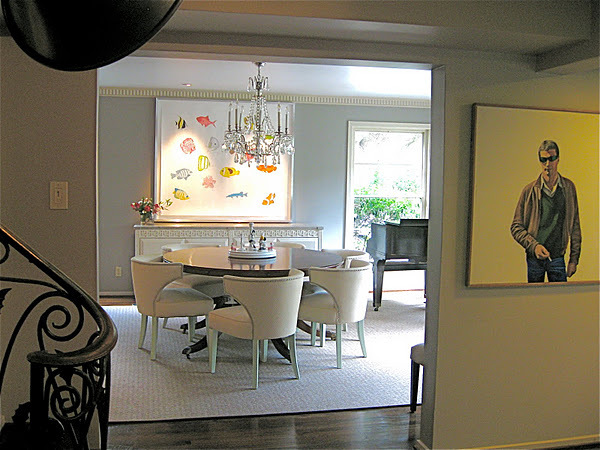 The colorful room pictured above is by Dallas interior designers Kathy Adcock-Smith and Linda Fritschy, but dozens of top local talent participated in last year's City Living Tour, which benefitted the Dallas Symphony Orchestra League. I love showhouses because they're a great way to see great work by designers who are under-the-radar. Magazines and blogs tend to cover the same people over and over, so it's nice when new names get recognition. Some of the interior designers whose work I wasn't familiar with included Catherine Dolen of Catherine Dolen & Associates, April Warner of Lauck Group, and Amy Thomasson of Cadwallader Design. They all created beautiful rooms and I promise you'll be hearing more from them. 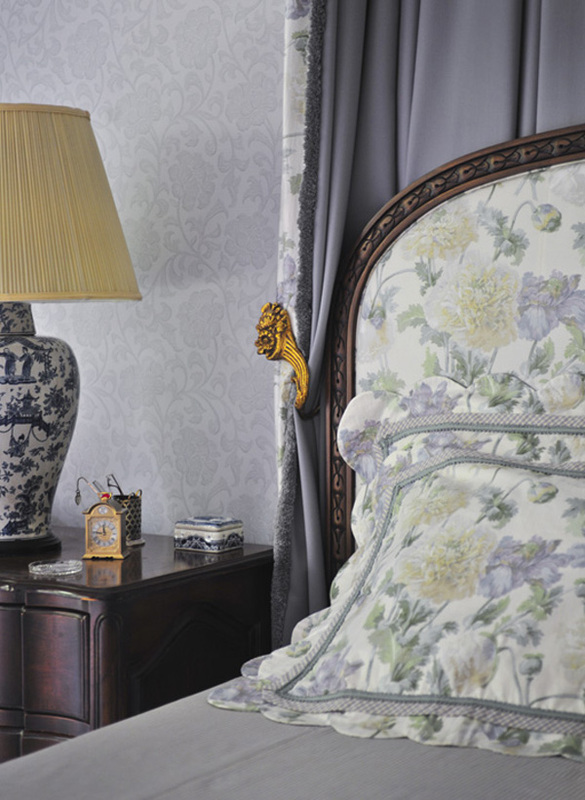 To see all the beautiful rooms inside the City Living Tour, go here. 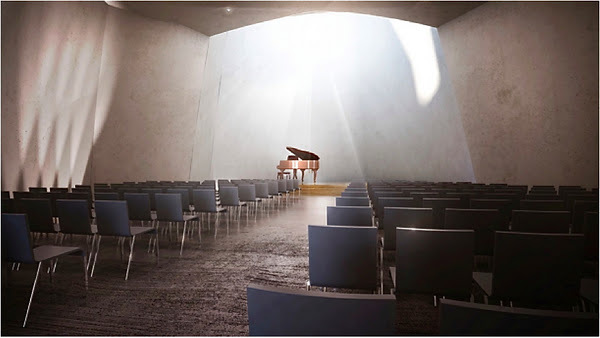 Eleven years ago, the great architect Philip Johnson designed the Interfaith Peace Chapel in the Oak Lawn area of Dallas. There was a lot of angst and in-fighting before it ever got built. People got fired. The coffers dried up. In the midst of it all Johnson died. It was the loudest and least peaceful idea of place of worship you could imagine. Then the thing finally got built, thanks to many good souls including Dallas architect Gary Cunningham, and when it opened late last year, it was a masterpiece. Winterthur is a mecca for anyone interested in classic American architecture, and there's only one man licensed in this country to reproduce the hundreds of years of architectural elements represented there -- Brent Hull of Brent Hull Companies -- and he happens to live in Fort Worth. 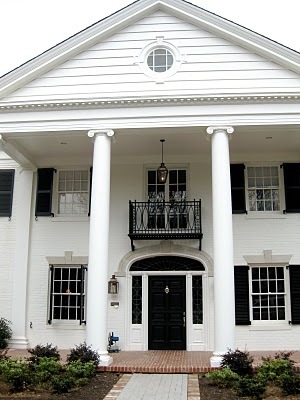 Brent Hull does historic millwork, homebuilding, and consulting in Dallas, Fort Worth and across the country. Owners of the house above hired Hull to renovate their 30s era home with hand-carved millwork from Winterthur, and it's a beautiful example of our American architectural heritage. To read about the house, go here. When Dallas interior designer Lisa Robison's husband asked her what she wanted for her birthday, she said seed money to start a non-profit. Dwell with Dignity was born, and in a short amount of time, it's become one of the most talked about charitable organizations in the country. The Dwell House, shown above, is where all the good sprouts. A bedroom with a tranquil view. 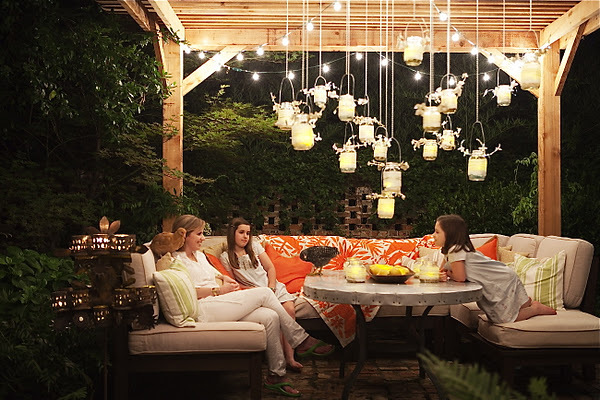 Perennials founder and Dallas interior designer Ann Sutherland just launched her own design firm, Square Foot Studio. Designers often use their own homes as incubators for ideas, and you can see Sutherland's design style in her own home in Dallas. I love the peaceful courtyard view from the bedroom, and the cheeky John Dickinson footed table. To see more of Ann Sutherland's house, go here. perched on Lisa Brown's shoulder. I get more comments from this story than almost any I've done. Dallas art dealer Lisa Brown and her family keep exotic chickens in the backyard of her stylish Greenway Parks house, and it's part of an art-and-animal filled lifestyle that I call Farmhouse Chic. To read more of the story, go here. It's not sweet. It's not heavy-handed. A man could sleep in this room and not wake up with nightmares. It's everything a classic bedroom ought to be, I think. The gray/blue monochromatic color scheme mixed with dark woods keep the florals in check. The drapery adds a layer of softness, and the gilt tieback is glamorous. Dallas interior designer Pam Kelly did this room. To see more of her beautiful rooms, go here. in interior design for high rises. There are big challenges in designing rooms so high up in the air. For one, they tend to float away visually unless you ground them with the proper color flooring and rugs. They may have sweeping windows and views, but high rise apartments tend to be small. Dallas interior designers Vicki Crew and Susan Smith at Urban Interiors specialize in helping people downsize from sprawling Dallas houses into glam new aeries. I love that. 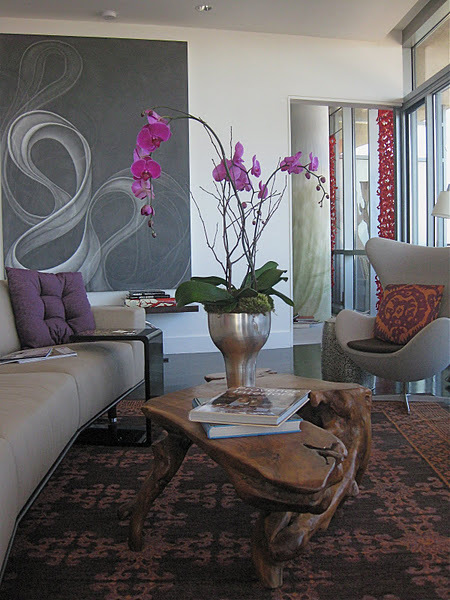 Love everything that Dallas interior designer Laura Lee Clark puts her hands on. These chairs could go in a modern space and look more like sculpture than seating. 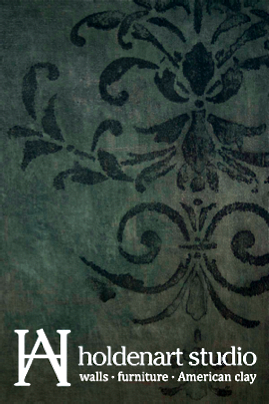 To read more about Laura Lee Clark's rooms, go here. 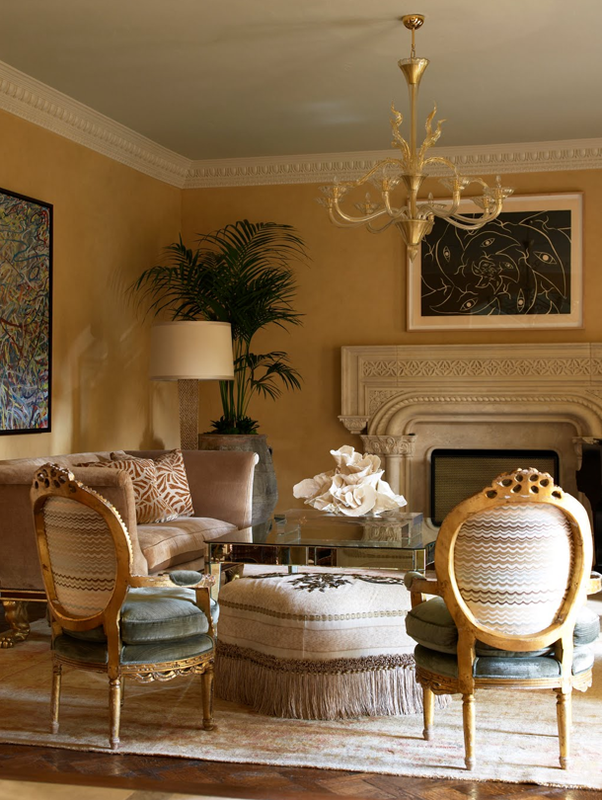 Dallas interior designer Louise Kemp's house in Preston Hollow mixes good modern art and furniture with an array of naturalistic elements (the plaster unicorn is 19th century), and antique French chairs (the one at far left is recovered in a cubist needlepoint made by Kemp's mother, Dallas designer Mary Cassidy). The house was renovated by Dallas architect Ron Wommack. You should really see the rest of it here. This smashing Preston Hollow house by the great architect Edward Durrell Stone has changed hands many times since it was built in the mid-50s, and who knows how it survived the wrecking ball. Dallas architect Russell Buchanan, who won an award from the National Trust for Historic Preservation for his work restoring it, tracked down Stone's long-forgotten papers and blueprints. 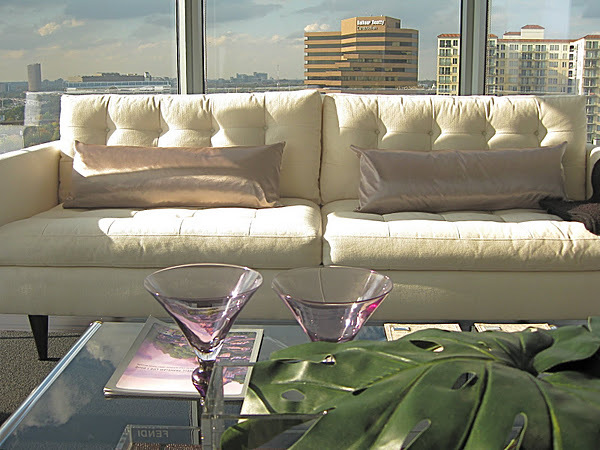 Dallas interior designer David Cadwallader did the interiors. It's one of the best houses in Dallas, no question. If your apartment lacks interior architecture, create your own. That's what Dallas furniture designers Arthur Johnson and Scott Hill of Square One Furniture did in their mid-century highrise. 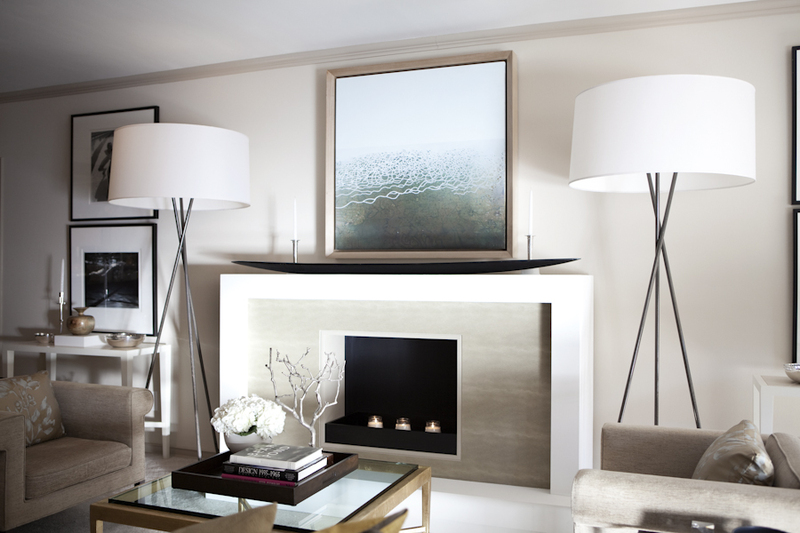 The fireplace is completely portable, but beautiful with its faux shagreen surround. 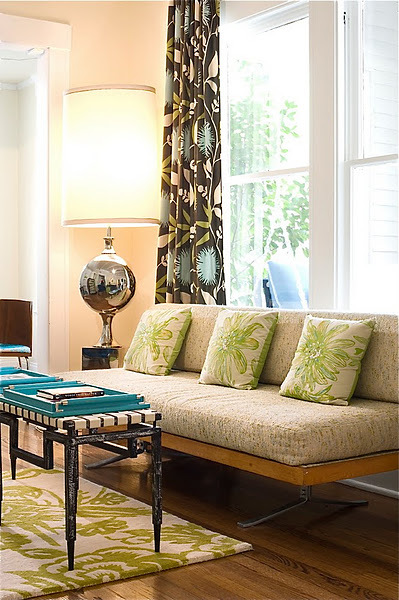 A pair of over-sized floor lamps balance the room. Scott has a degree in architecture from UT and it shows! Sometimes scale and proportion are all that matter. To read the more of the story, go here. If you think this house is amazing, wait till you see the backyard. The Vogel family has lived in this modern house since the 50s when Donald Vogel built it. 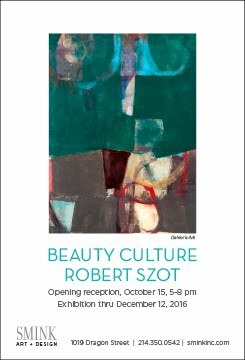 It's on the grounds of the Valley House Gallery, one of the oldest art galleries in the country, and the family turned their spectacular backyard, which consists of many acres, into a public sculpture garden. It's hidden away and little-known, but it's without a doubt one of the most spectacular places in Dallas. To see the gardens the Vogels call their backyard, go here. 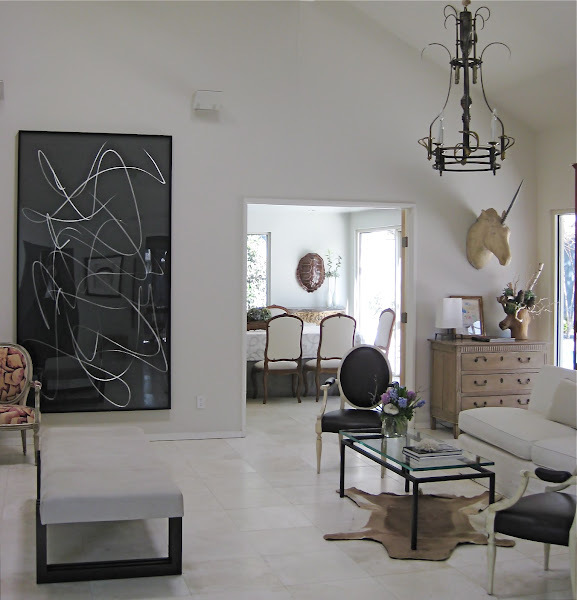 A room designed by Dallas interior designer Jan Showers is instantly identifiable, and I love that about her work. Showers was among the very first in the country to begin using French 40s and 50s furniture and Venetian glass in her interiors. Now, it's everywhere, but Showers seems to always do it better than anyone. 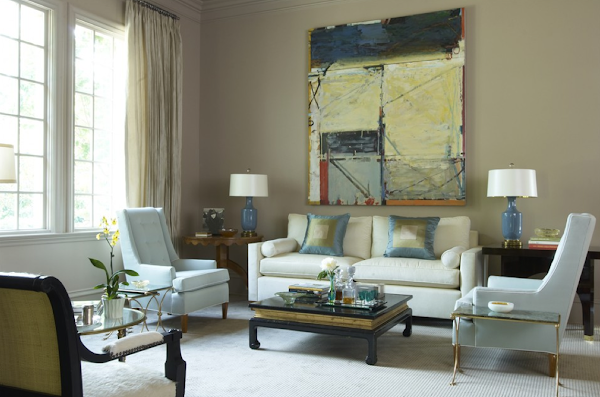 I love the James Mont-style Asian coffee table, the French blue lamps, and the modern art in this room. Those pillows remind me of Josef Albers op art paintings, and they've sort of become one of Showers' signature looks. To read more about Jan Showers, go here. This has to be the coolest house in Dallas. The client, a jazz lover, gave Dallas architect Cliff Welch a CD with a little-known jazz tune from the 60s as inspiration to design his new house. I love the fact that Welch took it seriously, listening to the song for months and dissecting the tune note by note. 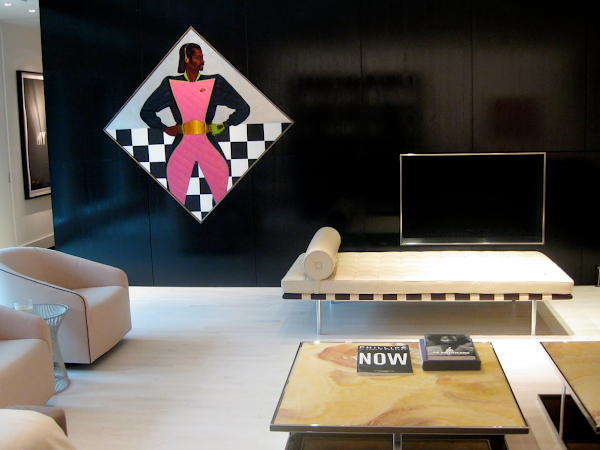 He interpreted the song's structure into the house's design, and even pulled colors and the feel of the furnishings from classic jazz album covers. To read the rest of the amazing story and hear the song that inspired the house, go here. 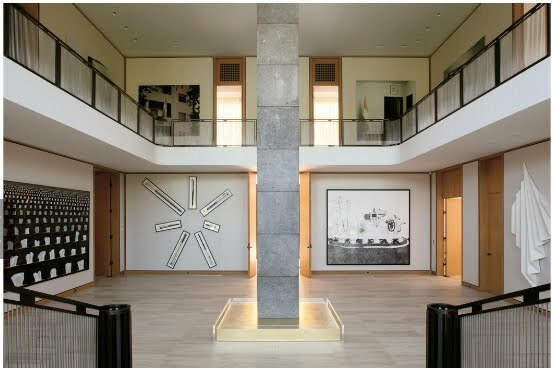 Philip Johnson designed this dazzling house in Preston Hollow decades ago, but Dallas architect Svend Fruit and Dallas interior designer Mil Bodron of Bodron + Fruit made it sublime with their restrained renovation. Who needs furniture when you have an art collection like this?